The 50th anniversary celebration of Earth Day is just around the corner; what better time to remind ourselves to lessen our environmental footprint. I’m sure by now you already know how climate change, depletion of the ozone layer, depletion of natural resources and global warming have been posing a threat to our existence. So now is the best time for us to start leading a more sustainable lifestyle, that will help reduce our environmental impact. Don’t worry, you don’t have to make any drastic changes in your lifestyle just to adapt to this way of life. These are just a few simple measures but it can go a long way in making this planet a clean, safe and much better place. So please keep on reading these sustainable living ideas for some tips and tricks on how to start. If you are someone who likes to keep many things at home, even if you don’t use them, then it’s high time you start to practice minimalism and try to live a life with lesser waste materials. Minimalism does not mean you should deprive yourself of anything. It does not mean you should live in discomfort. It simply means you should only keep things that you find useful and make sure you will use them to their maximum purpose. In this way, you will learn how to recycle more and live a more sustainable lifestyle. Single-use items are costly to the environment. Disposable plastic bags, for example, are almost everywhere: from your local department store to a mini shop near you. They are the way we carry our purchases, but did you know that a plastic bag can take from 20 to 1,000 years to break down? And what’s even worse is that they are non-biodegradable, which means when they decompose, they will dissolve into toxic particles. This is why it’s important you make it a habit to bring your own shopping bags. Always keep them in your bags, in your car or in places you will easily see them, so you will not forget. 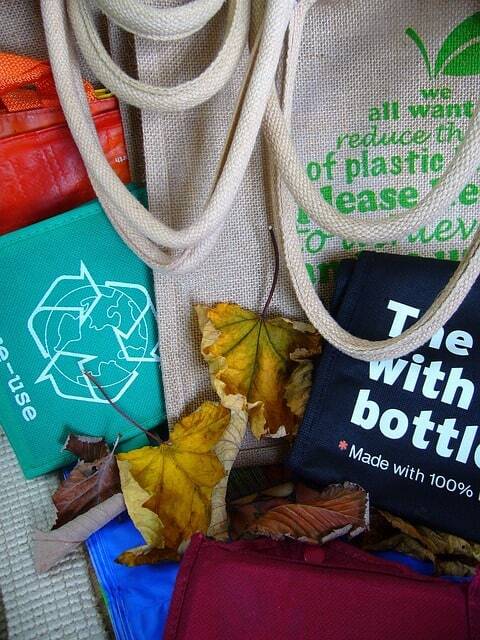 You can also invest in reusable bags that you can fold up until it is small enough to fit in your pocket. Now is the best time to ditch plastics. You can also switch plastic straws for a metal, glass or bamboo option or avoid those little cups of sauces they provide at fast food restaurants. Also, opt for reusable cloths instead of paper towels and bring your own water bottle. It may not always be an option, but whenever possible, try to minimize how much you are using them. Buying products made of all-natural ingredients that do not contain harsh toxic chemicals is one way to help promote sustainability. And it’s quite amazing how many everyday products we use today, whether it’s for personal hygiene products, cleaning your house, air fresheners or pesticides, already have eco-friendly alternatives. For instance, soap-nuts are very affordable and 100% natural. They have numerous uses and are one of the most unique ways to go green at home. They are a real eco-friendly alternative to using washing detergents on your clothes. You can also make your own natural cleaners or find homemade alternatives to your traditional cleaning brand. This is actually quite easy and even simple products like tea tree oil, lemon vinegar, and baking soda can be used to make your windows spotless or to unclog drains. In this way, you can reduce the amount of plastic packaging made as well as the number of chemicals introduced to the water system. There are a lot of easy ways to lessen the amount of household waste you produce. For example, you can bring a container for water instead of buying bottled water. You can also choose washable containers to store your food rather than disposable containers. In addition to that, buy grains, spices, and other items in bulk, to reduce packaging. Composting your yard and kitchen waste is an effective way to cut out chemical-based garden products. You will not only produce nutritious soil food that naturally increases plant growth, but it will also reduce the amount of waste going to the landfill. Our electricity usage can cause a lot of environmental problems. This is why we need to minimize how much energy we use. So make sure you make a commitment to consuming less energy. Take a look at where you can cut costs and do your best to be more energy efficient. For instance, you can budget a specific amount of money for electricity. This will motivate you to use less and will eventually promote more sustainable habits. If you are living in an area that gets enough sun, adding solar to your home’s energy supply can be a great option. It’s actually very easy to make your home energy efficient as long as you know how. Depending on your home, budget, and preference, you can make massive system changes that will transform how you consume energy. However, you can also make simple changes to improve your existing energy efficiency. You can take the easy route by replacing the air filters, stopping drafts and weather stripping around your doors. You can schedule your shower and washing times. Make sure you also switch off lights when no one is in the room and don’t forget to unplug your gadgets. The more food you grow, the more you can cook at home and preserve. This will not only cut down your grocery bills but will also increase your sustainability. 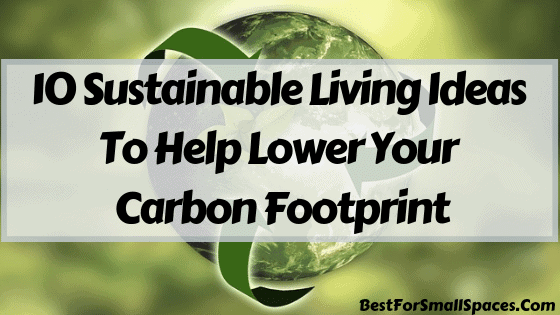 It’s an incredible way to cut down your carbon footprint and be more eco-friendly. The less you use your car, the more the environment will benefit. Walking or biking will promote sustainability by reducing pollution as well as the consumption of natural resources. At the same time, this will help you improve your overall health. You can also opt for carpooling or ride-sharing. This will help reduce the total carbon emissions your actions emit during your daily commute or whenever you are running errands. It’s often quite easy to just throw away so many things, rather than trying to repair them. However, this can cost you a lot more money in the long run, especially if you replace old items with new, cheap items that break quickly. If you don’t have any DIY skills, maybe take a class at a repair workshop near you. Or, you can also search for some of the thousands of repair tutorial videos available on YouTube. Sustainable living is no longer just a kind of living. It has become an obligation more than just a type of lifestyle. All of us should at least try to follow a more sustainable lifestyle. It will help a lot in hampering the threat of environmental problems like global warming, pollution and so much more. It’s the least we can do for the generations to come. How about you? 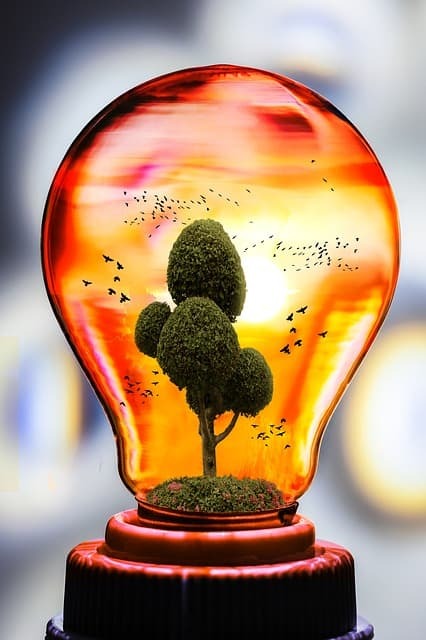 Do you have some of your own sustainable living ideas? Let us know in the comment section below.